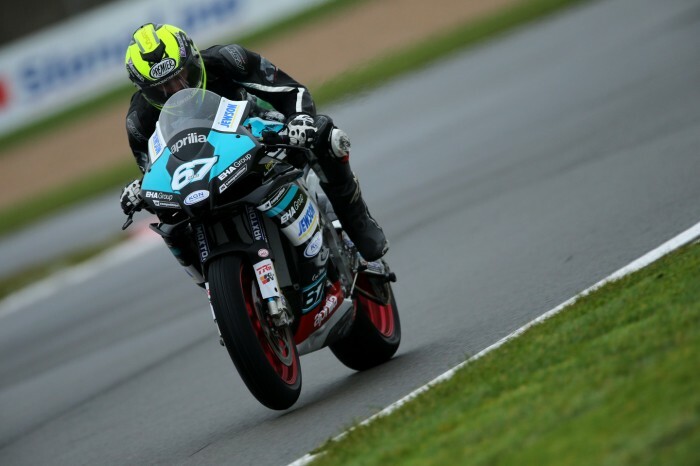 EHA Racing Aprilia’s Andy Reid triumphed in this afternoon’s wet-and-dry Superstock 1000 battle, taking his maiden win in the class as he held off team-mate Joe Collier. The Ulsterman’s full-time return to competition comes after a number of seasons in and out of racing due to both injury and other issues, but he looked nearly unstoppable with a lights-to-flag win. 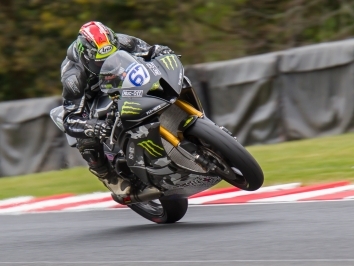 Yesterday’s double-winner Billy McConnell took pole with the fastest lap from the Sunday double-header, but Reid made a blinding start and shot to the front of the pack heading into Redgate for the first time. Fellow EHA Racing man and last year’s Ducati Cup champion Collier slotted in behind, with Mission Racing’s Fraser Rogers close in tow. Rogers made an ambitious lunge heading into the Fogarty Esses, but bounced across the curbs and ran wide as Reid and Collier resumed their positions at the front. Reid pulled out a nearly two-second lead at half-distance, but as the sun peeked through the clouds Collier began to claw back time, cutting the gap to just half a second with three laps to go. 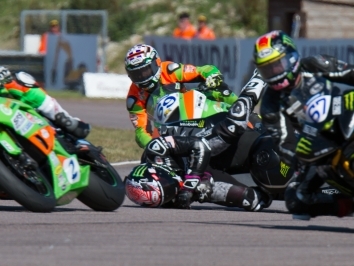 But there was nothing former British Supersport Evo champ Collier could do to stop Reid from powering across the line 2.4s clear of trouble to take his first win in the hotly-contested series. 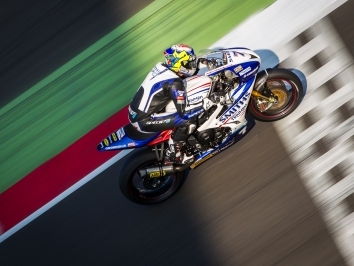 After sitting third for much of the race, Bathams Racing BMW’s Michael Rutter fell victim to a last-lap pass by mixed-conditions ace Keith Farmer when the latter stuck his Tyco BMW up the inside at the Melbourne hairpin.